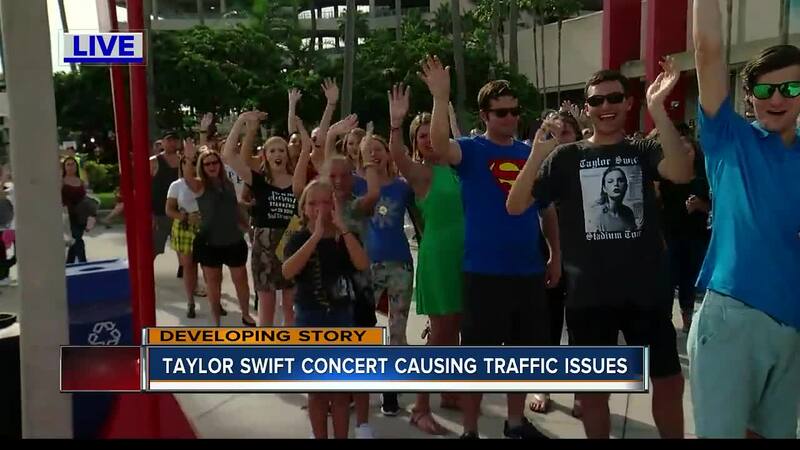 Taylor Swift is bringing her Reputation Tour to Raymond James Stadium on Tuesday, August 14, 2018. Gates will open at 5 p.m. and the show will start at 7 p.m.
August 13th: Open 12 p.m. to 6 p.m.
August 14th: Opens at 10 a.m.
Lots 5, 6, 6D, A, B & C open at 10:00 a.m.
Lots 14 and all other lots open at 3:00 p.m.
For fans and those utilizing ridesharing options such as Uber and Lyft, the drop-off area is located at the Mass Transit Drop-off off Dale Mabry Highway. The pick-up area is located at Steinbrenner Field. 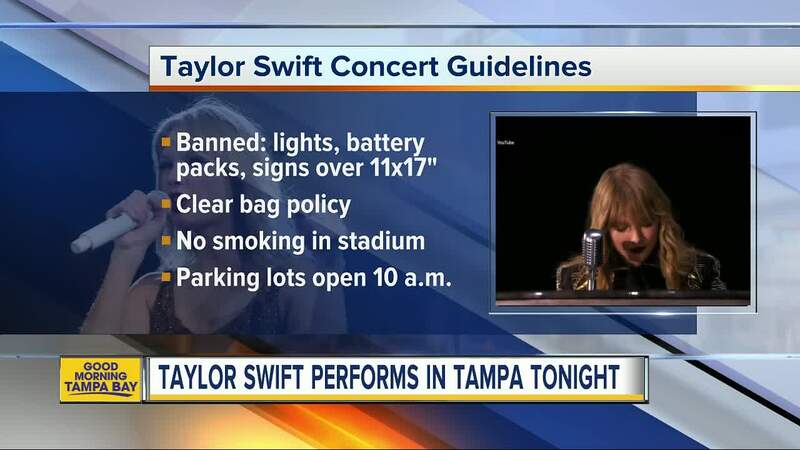 Raymond James Stadium will not allow fans to bring in lights, battery packs of any kind and signs larger than 11 x 17 inches. For a list of additional prohibited items for Raymond James Stadium, go to https://t.co/E6WnAJVEqD . Also, it's important to note that Raymond James Stadium has a clear bag policy in effect for all events held at the stadium. The bags must be a 1-12" x 6" x 12" or smaller clear plastic bag or a 1-gallon clear plastic freezer bag (or smaller), or a clutch that is no larger than 4.5" x 6.5". For a full list of what is and isn't allowed at Raymond James Stadium, click here .